When most people think of malpractice, they think of misconduct by a doctor. However, since nurses are responsible for much of the direct care that patients receive, it's important to keep in mind that they can be held legally liable for any action that causes emotional, physical, and/or monetary damage to a patient under their care. 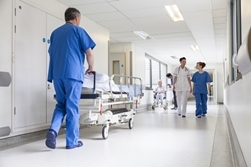 What Types of Actions Constitute Nurse Malpractice? A number of different actions by a nurse could constitute medical malpractice, but the most common include. Failing to adequately assess and monitor a patient. A nurse who doesn't promptly notify the attending physician of changes in a patient's status could be found guilty of malpractice. Failing to follow accepted standards of care. Standards of care for patients are outlined in hospital policy manuals, as well as on specialty websites and in materials produced by the American Nurses Association or the State Board of Nursing. They refer to the correct procedures for monitoring a patient based on his specific symptoms and diagnosis. Deviating from these standards is a common basis of nurse malpractice claims. Failing to adequately document patient care. Proper recordkeeping ensures that everyone involved in a patient's care is informed of all necessary information. A nurse who doesn't document every step in the nursing process, as well as the patient's response to treatment, could be found guilty of malpractice. Failing to use equipment responsibly. A nurse who does not know how to use medical equipment safely, fails to set the necessary alarms, or does not report malfunctions to the correct personnel could be found guilty of malpractice. Failing to act as a patient advocate. Nurses have a legal and ethical responsibility to act as a patient advocate based on the ANA's Code of Ethics for Nurses with Interpretive Statements and can be found guilty of malpractice when they fail to do so. Failing to communicate. A nurse should always listen to a patient's complaints and take the appropriate action. A nurse who causes a delay in diagnosis because she fails to report a patient's complaint of pain or other adverse responses to treatment could be found guilty of malpractice. How Do I Prove My Nursing Malpractice Claim? Proof of duty. Typically, duty means the nurse was responsible for the patient's care. A nurse isn't automatically liable for any harm that comes to a patient in her care, but she does have a professional obligation to provide as safe of an environment as possible while following physician orders and performing her duties using accepted medical practices. Proof of breach of duty. Once a duty to provide a safe environment has been established, it must be proven that the nurse failed to abide by the standard of care required for the services rendered. Proof of damages. Simply failing to provide a safe environment isn't enough for a nurse to be found guilty of malpractice. It must be proven that her actions caused direct harm to the patient under her care. Causation. To prove causation, you must prove that the nurse's conduct is directly responsible for the patient's injuries. This is the most difficult element of any malpractice case and will likely require expert testimony to support the claim. Special damages. Costs with an easily verifiable number, such as the cost of extra medical care related to the nurse's misconduct or the loss of earnings you suffered while you were unable to work, are known as special damages. General damages. General damages are compensation for a loss without a direct monetary value. In a nurse malpractice case, this would refer to pain and suffering while you were recuperating from your injuries, the lasting effect of the nurse's misconduct on your ability to enjoy future activities, or any ongoing anxiety you have about seeking future medical care. Punitive damages. Intended to financially punish the nurse for her actions, punitive damages are only awarded in cases where a nurse's misconduct is severe. Permission from the court is required to allege this type of damage. How Can The Medical Malpractice Attorneys of The Inland Empire Law Group Help? If you were hospitalized at a hospital in San Bernardino, Pomona, Victorville, Barstow, Fontana, or another nearby facility and injured by someone on the nursing staff, Inland Empire Law Group can help. Our skilled legal team has extensive experience handling malpractice claims. Please call (888) MY IE LAW to schedule a free, no-obligation consultation at our offices in Rancho Cucamonga or Victorville. ?Why are Medical Malpractice Claims so Hard to Win?